Recall a common theme you would hear on an episode of Star Trek, the 1960s television show, not the fatuous films and modern remakes. Captain Kirk would order "more power Mr Scott," and the reply always was, "I've giv'n her all she's got captain, an' I canna give her no more." 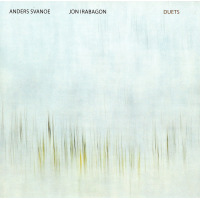 The same lines come to mind while spinning baritone saxophonist Anders Svanoe's State Of The Baritone Vol. 3, which was conceived around the mighty 747 airliner, a plane no longer part of the American fleet. If you recall, volumes 1 & 2 were trio affairs sporting baritone, bass, and drums. With 747 Queen Of The Skies more power was required. Consequently Svanoe employs a double triotwo bassists, Henry Boehm and Brad Townsend, two drummers, Michael Brenneis and Rodrigo Villanueva Conroy, plus trumpeter Jim Doherty. The request "Please Fasten Your Seatbelts" opens the disc, and like a takeoff, you might imagine Betty Davis' line (from the film All About Eve) "fasten your seatbelts, it's going to be a bumpy ride." The sextet blasts off with a delicious piece of free jazz that escapes the atmosphere. Aloft, the music takes on a 1970s theme (the heyday of the 747) with the power-rock title track capped off with double drum solos. 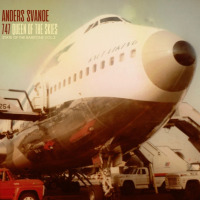 The music here is anything but predicable and Svanoe writes memorable melodies, like the hard swinging bebop composition "Bird Strike" which would fit easily on a Pepper Adams recording. Svanoe's heated solo gives way to the the coolness of Doherty's trumpet. Elsewhere the saxophonist goes toe-to-toe with Conroy on the brief meditative piece "Spiral Staircase Glamour;" and extends the reflection on "Altimeter High," which could easily be confused with the music of Don Cherry. Then there's the cartoon theme/Albert Ayler march "Walk On The SAS" which mines madcap for relevance. The closing track "Subsonic" features the bassists' bowed and plucked sounds that give way to luscious harmonies. Svanoe's richly verdant horn opens the composition to images of blue skies blue. Track Listing: Please Fasten Your Seatbelts; 747 (Queen Of The Skies); Bird Strike; Spiral Staircase Glamour; Jet Lag Blues; Altimeter High; Tenerife Mourning; Walk On The SAS; Subsonic. 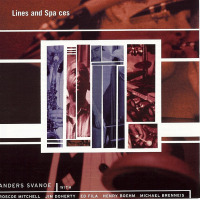 Personnel: Anders Svanoe: baritone saxophone; Jim Doherty: trumpet; Henry Boehm: bass; Brad Townsend: bass; Michael Brenneis: drums; Rodrigo Villanueva Conroy: drums.